It's no secret that the Queensland Performing Arts Centre, better known as QPAC, is the cultural jewel of Brisbane city. However, you may not know about QPAC's hidden gem – the Tony Gould Gallery. Often overshadowed by the large-scale productions and international artists performing in other areas of the complex, the Tony Gould Gallery allows visitors to connect with the arts by showcasing a changing program of exhibitions that are curated by the QPAC museum. 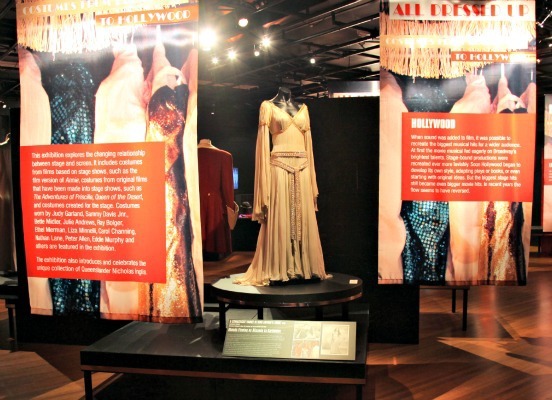 All Dressed Up: Costumes from Broadway to Hollywood is the latest exhibition to be featured. Thanks to Brisbane-based collector, Nicholas Inglis, visitors will be able to view a unique collection of truly exquisite costume memorabilia. The exhibition has been designed to explore the changing relationship between the stage and the screen, investigating how the theatre came to the movies, and how popular movies are now becoming successful stage shows. 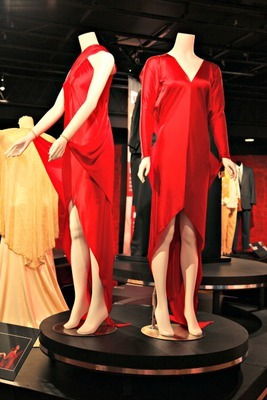 Costumes and memorabilia from 25 different productions spanning eight decades will be on display. Inglis has managed to source costume memorabilia from theatrical stage productions and from films. 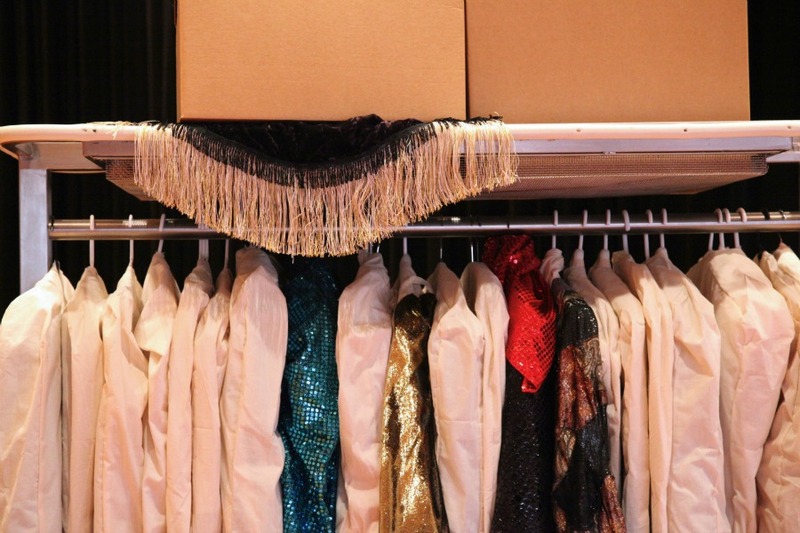 Some of the world's biggest show business stars have had the pleasure of wearing these costumes, including Judy Garland, Sammy Davis Jnr., Bette Midler, Julie Andrews, Liza Minnelli, Carol Channing, Barbara Streisand, Nathan Lane and Peter Allen. Some of the more dazzling displays come from productions such as The Adventures of Priscilla, Queen of the Desert and Connie and Carla. There are plenty of sentimental stage and screen favourites too from My Fair Lady, Doctor Dolittle, The Lion King, and Annie. The craftsmanship gone into some of these pieces is simply amazing. What must also be acknowledged and respected is the care in preservation of these pieces, with some dating back to almost 80 years of age (Gold Diggers, 1937). Not only are there beautiful gowns and accessories to admire, but the story of screen and stage unfolds throughout this exhibition. Some pieces are inspiring based on their beauty, others thrilling based on their heritage, and many intriguing based on their background story. 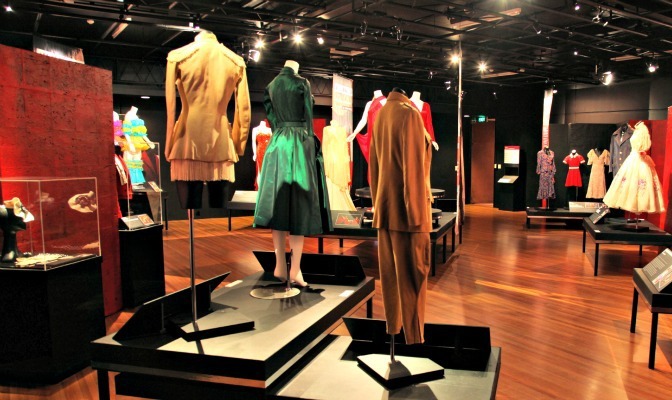 All however, will allow you to feel immersed in the world of performing arts which is the main attraction of the Tony Gould Gallery and its exhibits. The Tony Gould Gallery is located in the Queensland Performing Arts Centre and can be accessed via the Cremorne Theatre entrance. The exhibition All Dressed Up: Costumes from Broadway to Hollywood runs from December 4 until April 6. Remember to plan which day you are likely to visit as the Tony Gould Gallery is open Tuesday to Saturday, 10am til 4pm. Bookings and tickets are not required as entry to the exhibition is free. Disabled access to the gallery is available. There is car parking available at QPAC's car park or in surrounding South Brisbane car parks. Public transport is also a popular option with train, bus and ferry all in close proximity. The Queensland Performing Arts Centre may be a place you have walked past many times without realising what treasures really lay inside. The All Dressed Up exhibition is a fantastic reason to explore the Tony Gould Gallery either for the first time or as a returning visitor. It's the perfect place to pop in for some pre or post show entertainment if you already have tickets to a performance. Alternatively, you could easily make this exhibition part of a day trip to South Brisbane.